This was undeniably the year of the chunky sneaker—and in 2019, sneaks are getting yet another “ugly chic” make-under. While extra-cushioned kicks aren’t going anywhere anytime soon (good news for anyone just getting in on the trend), their mainstreaming has many wondering…are fugly shoes here to stay? For at least another 12 months, the resounding answer is: Yes! 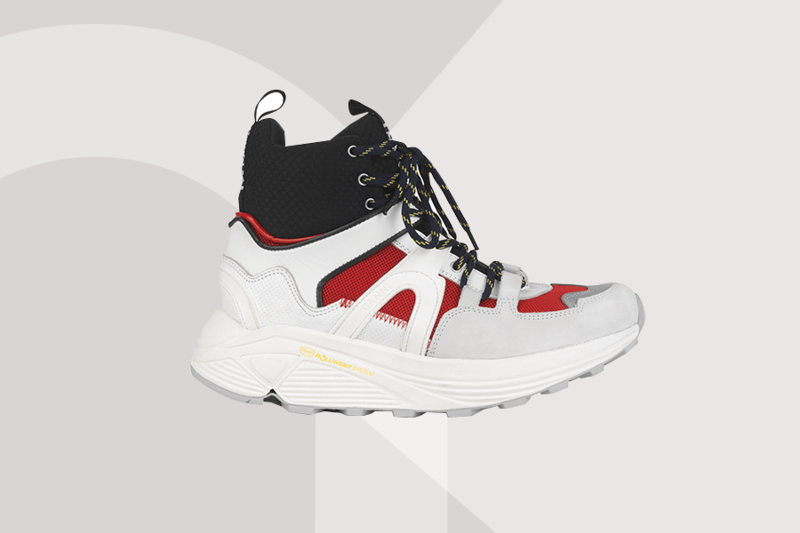 In 2019, you can expect to see “hiking- and outdoor activity-inspired sneakers with rugged soles, bungee cords, and technical performance details like waterproofing,” says Rachael Wang, a stylist and brand consultant who’s worked with Kendall Jenner, Chloe Sevigny, and Julia Roberts, as well as brands like Fila, Saks Fifth Avenue, Nike and Opening Ceremony. The trail-inspired shoe, in particular, shows just how deep the wellness world’s impact on style runs. More women than ever are embracing active lifestyles, and as a result, more fashion brands are focusing on functional design that isn’t just for show but for sport, too. It’s given way to a style of dressing called gorpcore (gorp being another name for “good old raisins and peanuts” trail mix), that’s inspired by the types of clothing you’d wear to go hiking, camping, or forest bathing. Think: anorak jackets, fleece vests, and yes, trail and hiking shoes. These utilitarian items are being paired with everything from leggings to jeans to dresses, both on runways and in real life. Think: anorak jackets, fleece vests, and yes, trail and hiking shoes. They’re being paired with everything from leggings to jeans to dresses, both on runways and in real life. To see the impact gorpcore will have on sneaks in 2019, one need look no further than Balenciaga’s newly released Track Trainer, a chunky-soled hiking shoe that features exaggerated tread, cord lacing, and bold colorways. Acne Studios also introduced a trail shoe for its SS19 women’s collection, featuring a similar hiking silhouette but with velcro straps, bungee cords, and even bigger grippy molding around the toe mound and heel. Following its presentation in Paris, the Swedish label called its runway show “a collection of fit and fluidity, with garments worn for function, expression, and pleasure.” And, in a cycle so famously immortalized in The Devil Wears Prada, where the designer brands go, the fashion mainstream will follow—cue, gorpcore sneakers hitting your favorite chain clothing store soon. That retro ideal is resonating with a whole new generation. And it’s a feeling anyone can embody—whether you wear your rugged sneakers to hit the trails or just the street.